This book is about how girls are marketed to, made to believe that pink is the color to end all colors, and princesses are all-powerful. How as years go by, girls are marketed to at a younger and younger age. Case in point: Tweens. What exactly are tweens? When did this definition become popular and part of our everyday language? Not all that long ago. Oddly enough, I couldn’t search deep enough to find any data on this, but being a woman of 41 years old, I was never called a tween, and there was no such thing as a tween. This definition was coined to create another market segment to market to and profit from. So as a parent who has spent more than half of my life raising girls, and a long way to go, I am very interested in completing this book and seeing exactly just how much I contribute to this situation with my own girls, and how often I have allowed myself to be marketed to in such a way that I am “drinking the kool-aid”, so to speak. “I think feminism erred in the 1960’s by negating femininity” announced Mara, a thirty-six-year-old education consultant who was currently home with her kids. Her voice sounded tight, almost defiant. “That was a mistake. I want my daughter to have a strong identity as a girl, as a woman, as a female. And being pretty in our culture is very important. I don’t want her to ever doubt that she’s pretty. 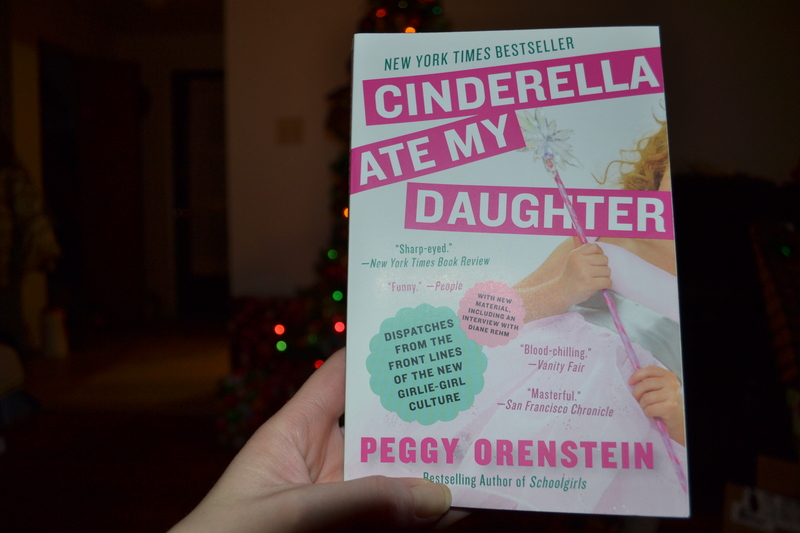 So if she wants to wear a princess dress and explore that side of herself, I don’t want to stand in her way” (Orenstein, P. 2012, pg. 19). Now I’m not saying I think Mara is wrong with her feelings on this, but I just have to say that I personally do not want to raise my girls with the understanding that it is important for them to be seen as pretty; that being pretty equals success; that being pretty makes you better than others; that if you aren’t pretty, you don’t matter and you’re not important. Does that mean I don’t want them wearing nice clothes, make-up, and doing their hair? Not at all. I want them to take care of themselves and feel good about themselves. But I don’t want them to ever think that they cannot have a meaningful conversation with a man if they aren’t wearing mascara and high heels. Enough said for now; I am just getting into this book and I am pretty sure there will be much more to come. Previous Article Happy New Year! Perfectly Said!